Well hello, lovers, the past few weeks have been mental, but with things finally slowing down and filled with new found inspiration, I decided to get on with making that treat with the lemon curd that I promised you weeks ago. 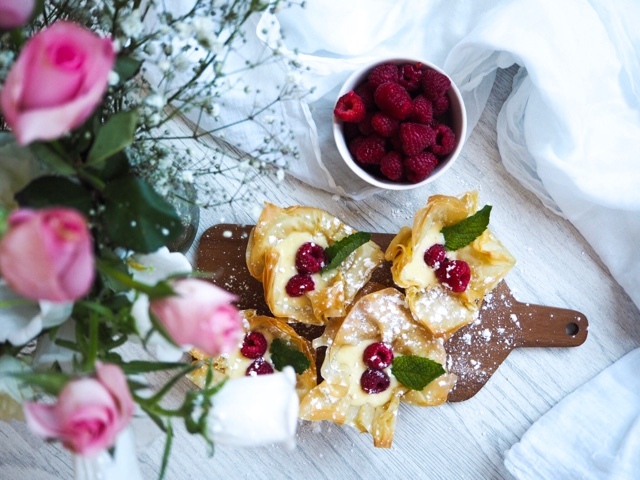 So here it is my new obsession these lemon curd, mascarpone, raspberry tarts, they are super quick and simply delicious summer treat. I am totally living in a lemon siesta at the moment, from my Instagram page to my lemon curd recipe, for now, these gorgeous little tartlets and take less than 30 minutes to make and in my case share out and gobble too! 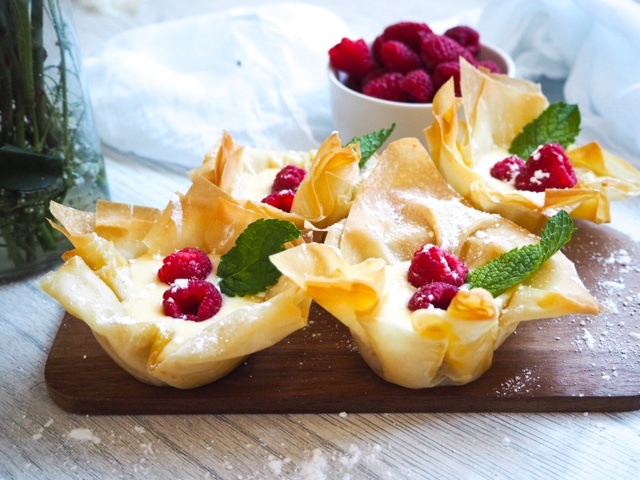 Take two pieces of your filo pastry, one at a time, brush one sheet after the other with your melted butter. Cut your pastry lengths Ways, then into 3 square, large enough to be able to fit into and cover the sides of your cupcake tin. Pop your tin into the oven for 6-8 mins or until lightly brown and crisp. Remove from the oven and place each filo casing on a cooling rack. Mix together your lemons curd and mascarpone. 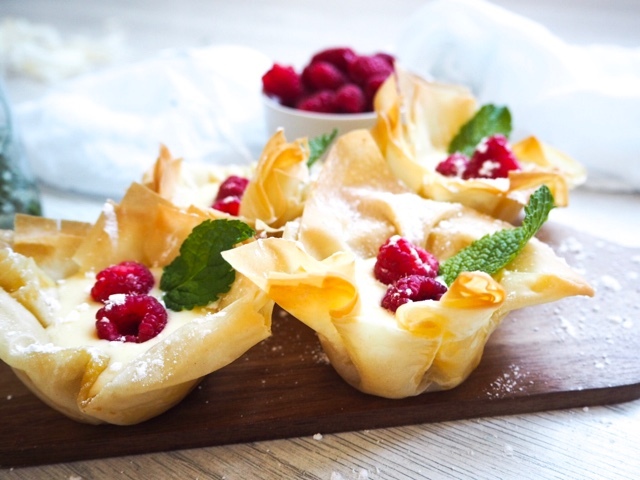 Spoon in your delicious lemony mixture and top with raspberries, dust with icing sugar and finish off with a piece of mint each. Serve with, champagne, flowers and great company and if you are really lucky, a sunshine filled day.